Oskar Loves, ISBN: 9783791372709 - available from Nationwide Book Distributors Ltd NZ. 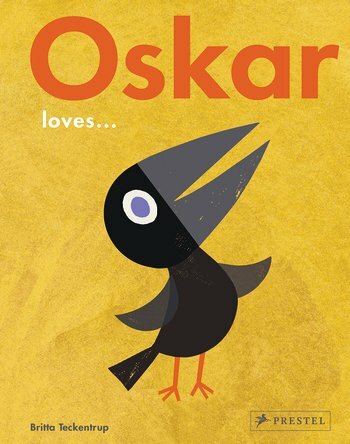 Oskar, a charming raven, loves trees, red cherries, and the smell of spring. He also loves rain, snow, clouds, books, and the moon. With this book’s simple, boldly colored, and beautiful illustrations, children are invited into Oskar’s world and in turn to explore the wonders of the world around them. As she has done in her previous books, such as Grumpy Cat and Before I Wake Up…, Britta Teckentrup combines evocative art with a storyline that will appeal to children and those who read to them. Asking, “What do you love?” Oskar Loves… invites all of us to take a moment to appreciate the world we inhabit.